This authoritative volume offers comprehensive coverage of the design and construction of municipal water and wastewater facilities. The book addresses water treatment in detail, following the flow of water through the unit processes and coagulation, flocculation, softening, sedimentation, filtration, disinfection, and residuals management. Each stage of wastewater treatment–preliminary, secondary, and tertiary–is examined along with residuals management. 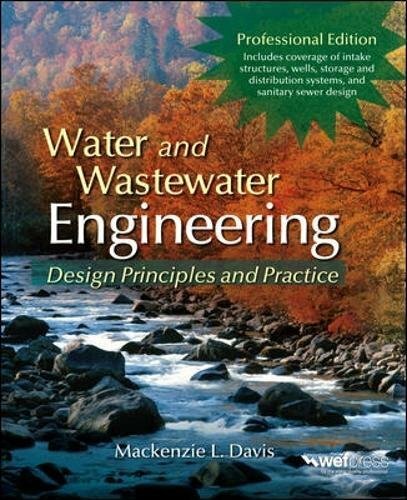 Water and Wastewater Engineering contains more than 100 example problems, 500 end-of-chapter problems, and 300 illustrations. Safety issues and operation and maintenance procedures are also discussed in this definitive resource.